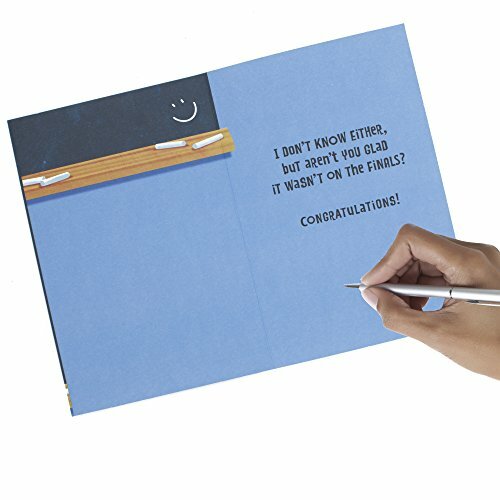 Front Message: Graduation Riddle. 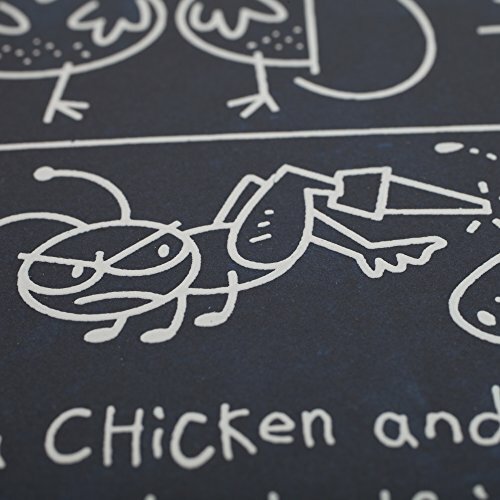 If a chicken and a half can lay an egg and a half in a day and a half, how long would it take a grasshopper with a wooden leg to kick all the seeds out of a dill pickle? 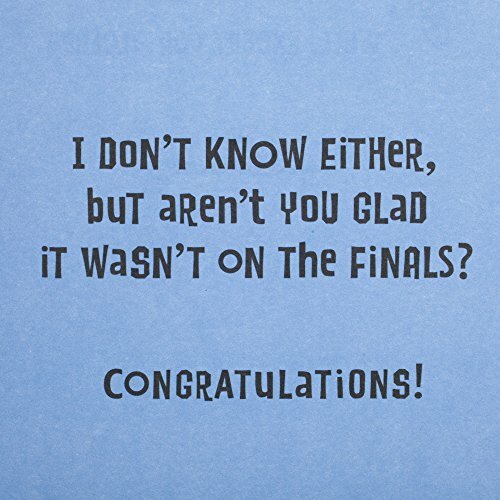 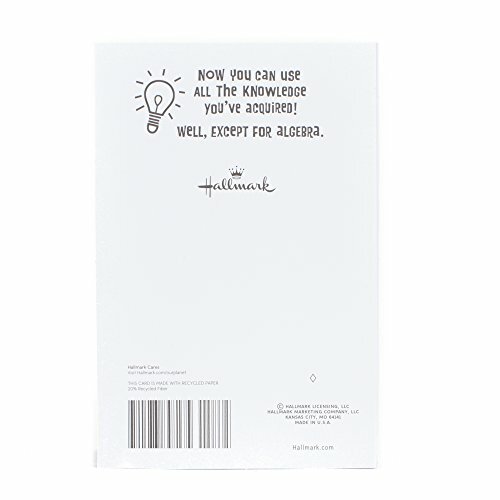 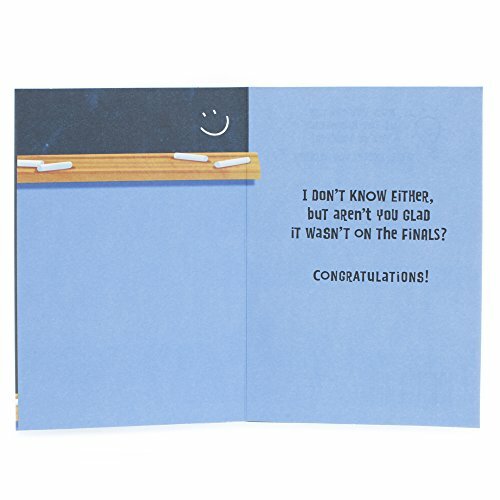 Printed on high quality paper stock, this graduation card is a clever and funny way to celebrate and congratulate any graduate on your list. 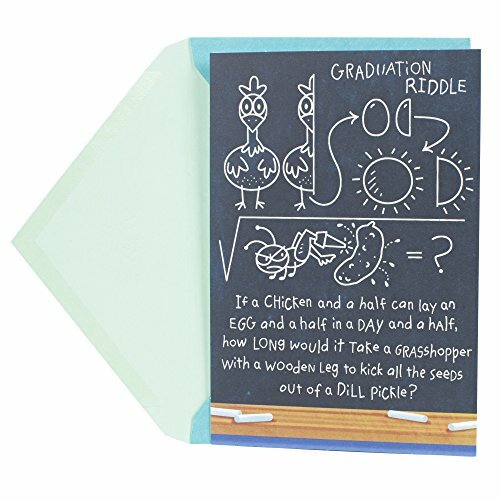 This card's design features an image of a chalkboard with a humorous riddle.